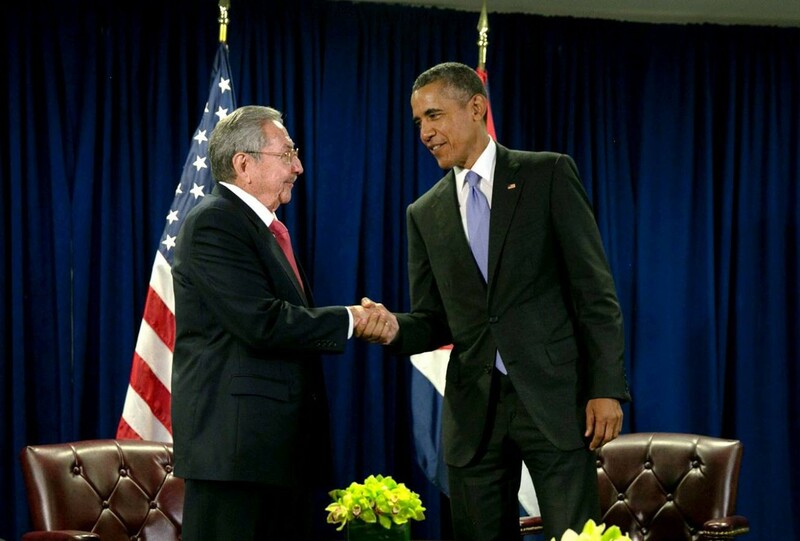 President Obama and President Raul Castro of Cuba met on the sidelines at the UN to discuss recent advances in relations between the United States and Cuba, as well as additional steps each government can take to deepen bilateral cooperation. The two Presidents discussed the recent successful visit of Pope Francis to both countries. President Obama highlighted U.S. regulatory changes that will allow more Americans to travel to and do business with Cuba, while helping to improve the lives of the Cuban people. The President welcomed the progress made in establishing diplomatic relations, and underscored that continued reforms in Cuba would increase the impact of U.S. regulatory changes. The President also highlighted steps the United States intends to take to improve ties between the American and Cuban peoples, and reiterated our support for human rights in Cuba.